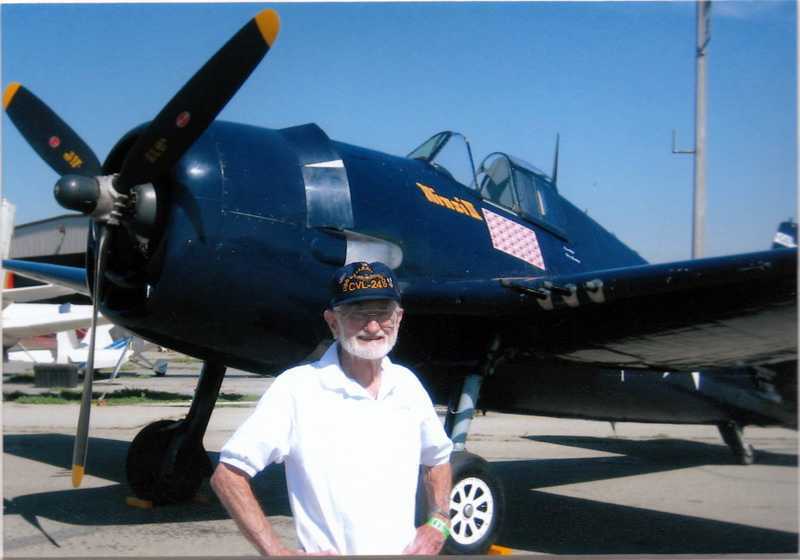 I thought I killed Ernie Pyle in WW2 with my F6F Hellcat, Story by Irving Mayer. Ernie Pyle Exhibit. Pens que mat a Ernie Pyle en la 2 Guerra Mundial con mi F6F Hellcat historia, por Irving Mayer. Ernie Pyle prueba. I was a Naval fighter pilot from VF-24 leading the second section of a four-plane division of F6F Hellcats. When I returned, I thought that I was the one that killed Ernie Pyle. Read the story below about the man who thought he killed the famous combat photographer and War Correspondent, Ernie Pyle, on the island of Ie Shima. This is a true story and is really an unknown part of history about Ernie Pyle and the Pacific Theater in WW2. I Thought I Killed Ernie Pyle. On April 17, 1945 I was a Naval fighter pilot from VF-24 leading the second section of a four-plane division of F6F Hellcats. We were from the USS Santee CVE 29, an aircraft carrier of the Sangamon Class keeled originally to become an Oilier. Our mission was to fly to Ie Shima and report to a Ground Director for his selected assignments. The call came to attack just ahead of a ground Marker sheet to quiet a group of Japanese who were mortar firing our troops just fifty to 75 feet away. I recall saying to the director that he would get our links and casings on the troops heads as the terrain allowed only a run over his position. He responded that would not be as bad as he was getting now. A shallow run would surly increase his danger and a steep run would offer a better angle but would require a higher altitude break-off to effect a recovery from the dive this would also increase the range and shorten the time of firing. I chose a 60 degree angle which was routine for dive-bombing but slowed well below the usual 320 Knots. The close proximity of our troops obviated the use of bombs or rockets which we carried. After two delicate runs we got a thanks and goodbye. When I landed back on the Santee around midday I heard that Ernie Pyle had been killed on Ie Shima. No particulars were available. My god! I did it. It wasn't until early evening that we heard that he was killed by a sniper while in a Jeep. Years later I heard of the machine gunning. Hope that this helps complete your picture. Incidentally I was searching for info on Jack Singer a War Correspondent who was also killed in action. He was a cousin to my first wife, by marriage. During World War II, INS correspondent Jack Singer was among the 193 men who died when the aircraft carrier USS Wasp sank in the Pacific in September 1942. He was awarded the Purple Heart and a liberty ship was named after him, the USS Jack Singer. In the search I ran across Raymond Clapper another war correspondent. He was killed in front of me on Jan 29, 1944 by a fellow pilot of mine in a pre-dawn launch into a storm and post launch midair collision from the Belleau Wood CVL 24. but that's a story for another day. Because of the fight-to-the-death policy of the Japanese Superiors and the Bushido Code plus the high casualty rate among the enemy on the large island of Okinawa, I suspect the survival rate on Ie Shima -- a relatively small island --was Zero. Mayer, Irving March 28 1920 - December 29, 2011 Irving was born in San Francisco to Max and Lena Mayer. He graduated with a B.S. from UC Berkeley in Electrical Engineering and a M.S. in Business Management. Irving was a decorated Navy fighter pilot in WWII, serving on the U.S.S. Santee, CVE- 29 and the U.S.S. Belleau Wood, CVL-24. After the war, he worked in Systems Management for major aerospace companies in Southern California. He was preceded in death by his first wife, Winifred, and his son, Michael. Irving will be lovingly remembered by his many friends and family. 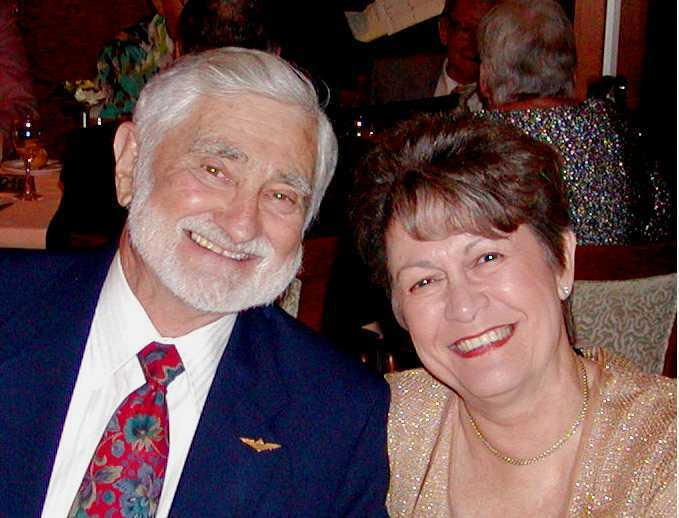 He is survived by his wife, Linda Mayer; brother, Bert Mayer; sister, Sandy Mayer; daughter, Carole Morgenstern; stepdaughter, Sheri Henderson; and two grandchildren, Zachary Mayer and Zoe Morgenstern. From the Webmaster: It was a big blow to me to hear that Irving had passed away. I was an internet friend of his for many years and we would talk on the phone very often. At 89 years old he would still remember the angle of dive that he was on and the angle of the shadows of the trees as he made diving runs at Japanese machine guns with his F6F Hellcat Fighter Plane. One day I asked him if he has ever seen a Japanese Ki-61 Hein (Tony) airplane. The plane had the planform, overhead view, very similar to the P-51 and was a very powerful airplane made by the Japanese. Irving told me about how he was flying over an island in the western Pacific and he looked down and saw what looked like a P-51 Mustang flying low below him. He called back to the Combat Information Center and asked them if there were any P-51s in this area and they replied with a firm NO. So Irving rolled the plane upside down and came into a dive and shot the plane down. He later found out that it was indeed a P-51 and the pilot got out without being hurt. Irving also told me about going head to head with a Japanese airplane in a dogfight. He told me about how how he was flying his F6F Hellcat, predecessor to the F4F Wildcat, but much more powerful, when he met up with the Japanese pilot. They both went into a vertical climb, standard tactics for a Zero against the F4F, and the Japanese pilot was surprised to find that his plane went into a stall before the F6F. Irving then pointed his plane right back down to the Japanese plane and shot it down. Irving explained to me that since the F6F was new and the fact that it looked very much like the F4F that the Japanese pilot was using the successful tactics against the F4F and not Irving's F6F Hellcat. The damage was done and the Japanese pilot lost. About six years ago I had a real nice 1/15 Scale F6F Hellcat model and I sent it to Irving. He was very pleased to receive it and told me that it had the markings of his best friends name. I am sorry that I did not remember his friends name. It was almost like fate that I sent him his best friends airplane. At 89 Irving sounded as sharp as a twenty five year old soldier. He was bright and sharp and he looked more physically fit than me. For two years, I was very ill and didn't have a chance to talk to Irving. Then when I finally called in February of 2012, his wife told me that he had passed away. Irving was my friend and I miss him very much. Go to the 413th Fighter Group Letters Page .